I was honored when Megan invited me to contribute a guest post to The Sybaritic Singer. Like Megan herself, the blog has done a lot of good in the contemporary music world. Megan suggested that I address behind-the-scenes aspects of directing a concert series. My two-part post will consider practical and philosophical issues that have been on my mind as the Evolution Contemporary Music Series celebrates ten years of bringing new music to Baltimore. There’s an M-word in the arts: money. It’s a strange business asking people for money, especially friends and family, or fellow artists who we know don’t have much to spare. If you’re a presenter, you may have already had to offer your peers more modest compensation than they deserve. The Evolution Contemporary Music Series – a Baltimore-based concert series dedicated to the music of living composers – has sustained a steady artistic ascent since I founded it in 2005, but our finances haven’t always kept pace. The work has been a labor of love for all involved. Given artists’ natural tendency to concentrate on creating and sharing art at the highest possible level, it’s dangerously easy to treat other dimensions of our enterprise as secondary, especially securing the money needed to realize a meaningful vision. Fundraising isn’t a one-person job. More to the point, it isn’t the sole province of an artistic director. The Evolution Series has belatedly but necessarily added a managing director, Wesley Thompson (a former series intern) and a nascent board. Though I believe it’s critical to share my own time and passion in order to engage donors, I can’t do it alone, and can better serve the series by focusing my energies on the music and musicians at the heart of what we do. So here’s the ask. The Evolution Series is in the final days of a Kickstarter campaign to fund our 10th anniversary season. This season will be one of our biggest and best yet, featuring several of our favorite musicians: Pulitzer Prize winners Caroline Shaw and David Lang, standout Peabody Conservatory alumna Amy Beth Kirsten, and one of the world’s finest ensembles, So Percussion. In exchange for your backing – your money – we’re offering exclusive rewards associated with the music and people that will bring this year’s Evolution Series to life. A Kickstarter project is only funded if it meets or surpasses its goal, so the best way to support us is to make your pledge today and then spread the word. Thanks so much for reading and, I hope, contributing. In my next post, I’ll share a few thoughts about presenting concerts in the 21st century. 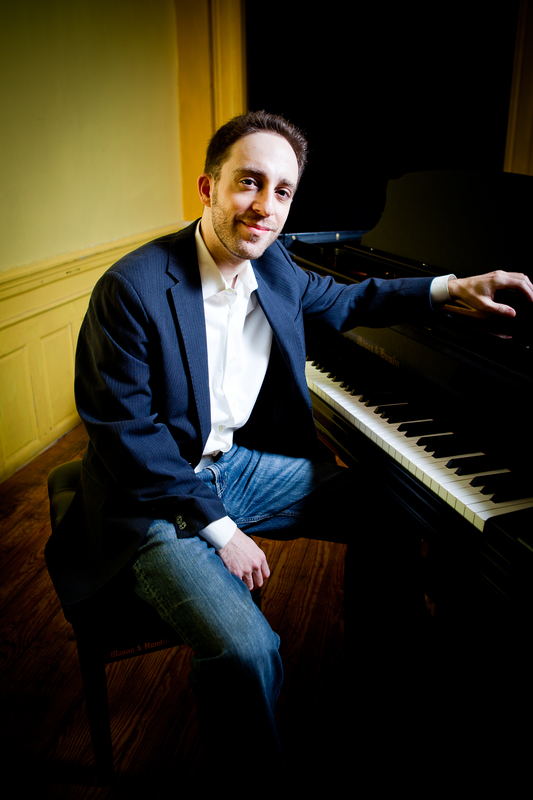 Said to be “embarked on a promising career” (Washington Post), composer Judah Adashi has been honored with awards, grants and commissions from the American Academy of Arts and Letters, the ASCAP and BMI Foundations, the American Composers Forum, Meet the Composer and the Aspen Music Festival, as well as residencies at Yaddo and the Virginia Center for the Creative Arts. A committed musical organizer, advocate and educator, Dr. Adashi is the founder and artistic director of the Evolution Contemporary Music Series, noted for having “elevated and enriched Baltimore’s new music scene enormously” (Baltimore Sun). He is also on the composition and music theory faculty at the Peabody Institute of the Johns Hopkins University. Dr. Adashi holds master’s and doctoral degrees from Peabody, and a bachelor’s degree from Yale University. For more information, please visit judahadashi.com. The Evolution Contemporary Music Series, founded in 2005 and directed by composer and Peabody Institute faculty member Judah Adashi, is a Baltimore-based concert series dedicated to the music of living composers. Praised by Tim Smith of the Baltimore Sun for having “elevated and enriched Baltimore’s new music scene enormously,” and by the Baltimore City Paper as “superb…not the same-old, same-old,” the Evolution Series has presented or premiered works by over 75 composers, performed by acclaimed musicians from Baltimore and beyond. Events regularly include pre-concert conversations with performers, composers, critics and scholars. Featured guests have included Marin Alsop, music director of the Baltimore Symphony Orchestra; composers Missy Mazzoli and John Luther Adams; and music critics Tim Page (Washington Post) and Alex Ross (New Yorker).